VICTORIA – The Texas Transportation Committee approved this month spending more than $700,000 to make improvements at two airports in the Crossroads. 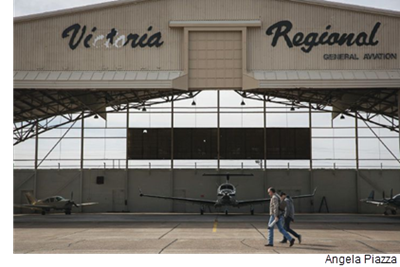 The Palacios Municipal Airport will receive $666,667, while the Victoria Regional Airport will receive $65,000. The money will be used for engineering and design as well as pavement improvements. It is part of the Texas Department of Transportation Aviation Facilities Grant Program. Both Victoria County and the City of Palacios are partly paying for the improvements, according to a news release from the Texas Department of Transportation. This year, the state transportation department expects to spend $60 million on planning, constructing and maintaining community airports.